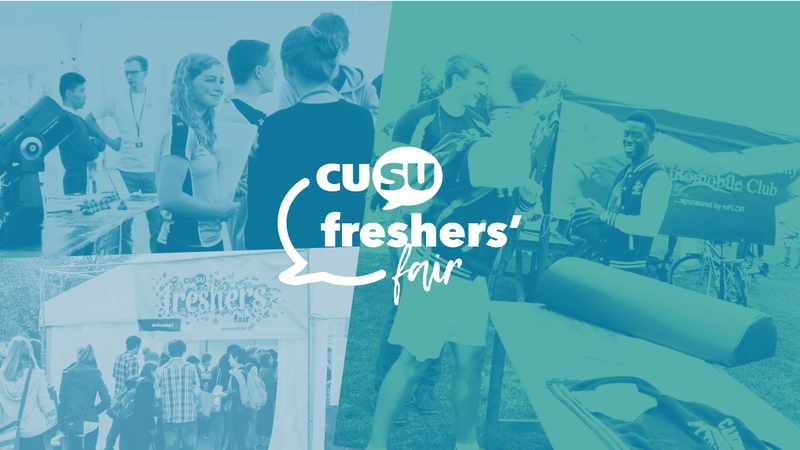 Every year CUSU puts on the biggest event of the Fresher’s calendar, the Freshers’ Fair. The only place here you’ll get to see some of the hundreds of sports and societies available to students at the University of Cambridge. Not only will you get to see the diverse array of student groups available in Cambridge, but you’ll have access to businesses offering opportunities, freebies and quite often pizza! The pages on this this site will give you all the information you need to know ahead of the annual Freshers' Fair. With so much going on, you'll want to make sure you don't miss out on all of the exciting stalls and exhibitors. If you're looking for information about starting Cambridge as a new student, we have a website just for you! Our Freshers' website covers everything from what to bring, setting up a bank account, connecting with your college and much much more!